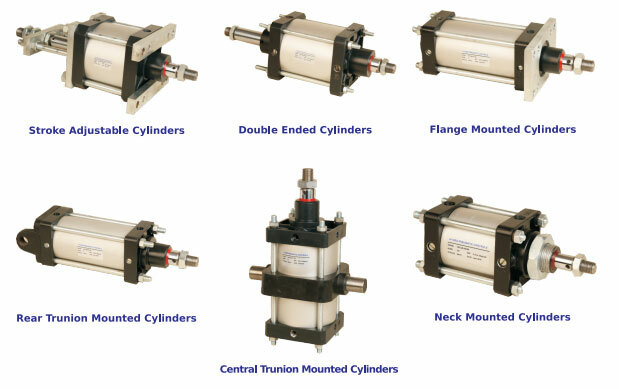 • Suitable for a wide range of applications. 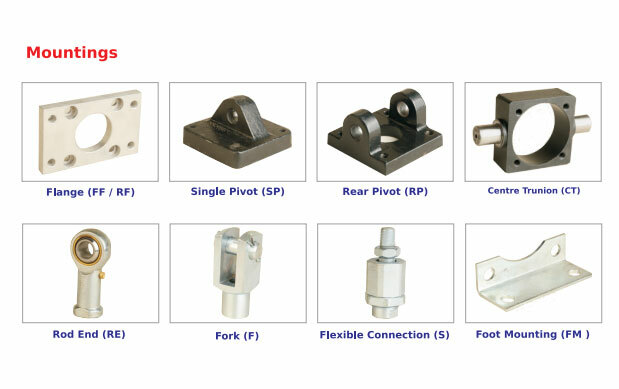 • Available in all types of mountings and attachments. • Single, Double acting, Magnetic, Double Ended, Tandem, Telescopic. • Max stroke lengths upto 2000 mm. • Piston : Up to 4" Aluminium & from 5" to 14" cast iron. • Pressure : 0.5 to 10.2 kgf/cm2, high pressure on request. • End Covers : Up to 4" Aluminium die Casted & powder coated. From 5" to 14" close grain cast iron & powder coated. 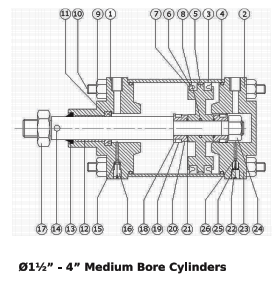 • Cylinder Barrel : Upto 4" Dia, Aluminium, M.S. (Honed & Hard Chrome Plated) From 5" dia. • Establish force required and working pressure available. • Select working pressure on top of the chart. • Select force required by reading down from selected working pressure. 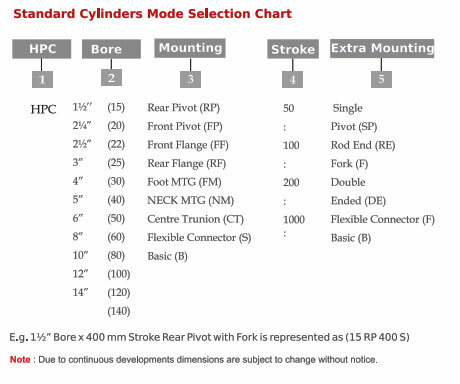 • Read Out Cylinder bore size on left of the chart. 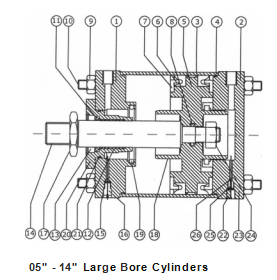 • If it is established that the force required is 150kg and working pressure available is 7 bar, above chart will lead you to select 7 ¼" bore cylinder.